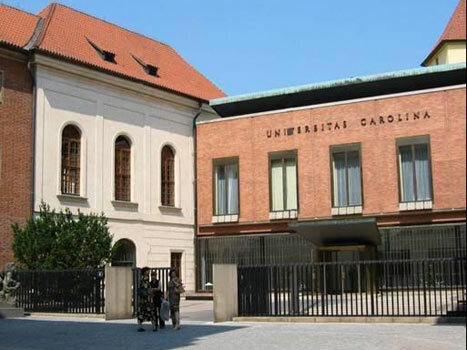 Prague's largest and most prestigious university, Charles University, is also its oldest, and the oldest in all of Central and Eastern Europe, beating Krakow's Jagiellonian University by a couple of decades. Founded in 1348 and sanctioned by Charles I himself, the University was multicultural from the start, composed of Czech, Bavarian, Saxon and Polish "nations." Though for some time the University was run by religious sects and declined in its independence and standing, by the middle of the 19th century Protestants and Jews were admitted, and German became a major language of teaching, eventually splitting the University into Czech and German sections. As with all of Central Europe's universities, Charles underwent major traumas and changes as a result of the Second World War. With the German occupation of Czechoslovakia, the Czech section was closed in 1939, and many of its faculty and student leaders were killed in concentration camps. After the end of the War, the charge of rebuilding soon fell to the new communist government that took over in 1948, and purges, censorship, and repression became the norm. During the Prague Spring, students who hadn't witnessed pre-1939 freedom got their first taste of it, and many of the protests and ideological battles took place right on the Charles University campus. When the Warsaw Pact invasion brutally crushed the liberal reforms, students were hard hit, and one student, Jan Palach, even protested by setting himself on fire. During the 1970s, the University was "normalized" along with the rest of the nation, but the 1980s, particularly the end of the decade, brought more and more student unrest and protests, cumulating in the Velvet Revolution in 1989, which was partly set off by students and faculty of the University. With the advent of democracy in 1990, Charles University soon evolved into the highly respected Western academic institution it is today. Being the multicultural institution that it has been throughout the ages, it's no wonder Charles University is very open to international students. And who wouldn't want to study in Prague? Besides its premier academic tradition, there's the culture ever-present in the city, not to mention enough pubs and clubs to make you forget everything you learned at the last lecture. And with Prague's hip, young and liberal atmosphere, it's a virtual student paradise - once your semester or year abroad are over, you still won't want to leave. So, where to start? University of New York in Prague provides the best English-language higher and MBA education in Central Europe, with a focus on business, communications, international relations, literature, and psychology. UNYP offers accredited Bachelor's and Master's degree programs in English and MBA study in Prague. The university offers Bachelors?s, Master?s, and doctoral programmes in the following faculties: Faculty of Economics and Management, Faculty of Agrobiology, Food and Natural Resources, Faculty of Technology, Faculty of Forestry and Environment, Institute of Tropics and Subtropics, and Institute of Education and Communication. The largest university specializing in chemistry in the Czech Republic, it consists of four faculties: Faculty of Chemical Technology, Faculty of Environmental Technology, Faculty of Food and Biochemical Technology, Faculty of Chemical Engineering. The leading university in the field of management and economics in the Czech Republic, the University of Economics offers courses and degrees in the following faculties: Faculty of Finance and Accounting, Faculty of International Relations, Faculty of Business Administration, Faculty of Informatics and Statistics, Faculty of Economics and Public Administration, Faculty of Management, French-Czech Institute of Management (IFTG), Centre for European Studies (CES). Proud to have studied in Charles university in 1960's . Very much enjoyed my studies at the medical faculty. Have good memories . I was privileged to have been invited by the Faculty of Social Science to deliver a lecture on International Politics and Comparative Foreign Policy. I found the university so venerable, honored, ancient and a leading university by world standards. To think that I lectured in the hall on International Relations and Czech Filipino Relationships, constituted a major highlight in my career of delivering addresses and lectures and speeches on Foreign Policy before some of the world leading universities, such as Harvard, Univ. of California in Los Angeles, Moscow University, Univ. 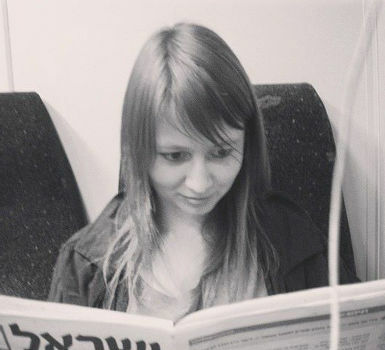 of St. Petersburg and the London School of Economics and Political Science. But, University of Prague gets the cake as one of the most prestigious. I will remember the great honor for as long as I live. Hello, we only offer information on universities in Prague, but we do not represent the universities in any way. For information on courses, tuition, etc, please contact the universities directly at their websites listed above. Thank you. does anyone know if the masters degress one might obtain from Charles University will count back in the USA? Please show university on a map!